Estate Home with Character. This 2 storey w/full in-ground basement home sits on a level half acre corner lot. Property faces south in rear, views of ALR land at front. Reno'd to the studs in 2006, the floor plan offers functional open space with wood Euroline windows that wrap the home and flood the rooms with light. Main walks out to Roman paved patio, fully landscaped yard. Tuscan style kitchen with harvest style island, counters recently topped with warm quartz. 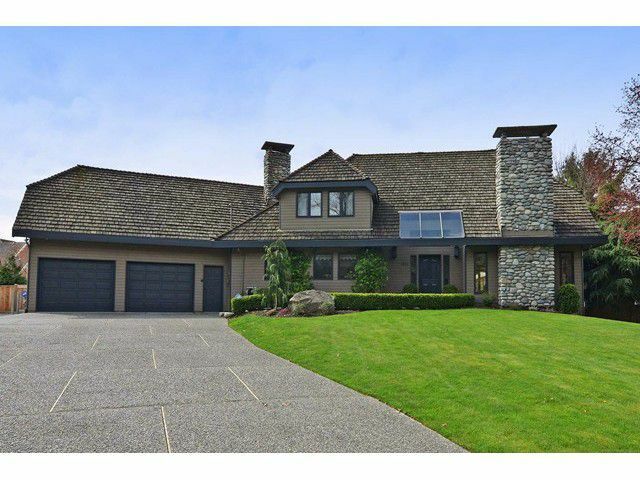 Impressive master suite with mountain views, marble ensuite bath, his/hers walk-in closets. Solid oak flooring on main and upper, heavy window and door casings, millwork, molding and stone throughout. 1 bdrm nanny suite above garage.